I’m in a restless mood tonight, yawing wide in both taste and timbre. But my nocturnal meanders keep taking me back to covers of the same few songs – and for me, that’s generally an indication that the blogger’s mind will not rest until we take on the history of the author and his songbook. Ironically, however, tonight’s feature subject exists in a short window of time indeed, even as his songs linger as cultural earworms in the culture today. So let’s move right along to this living legend who has not recorded a single studio album in over a quarter decade. Ladies and Gentlemen: Bill Withers, covered in folk. 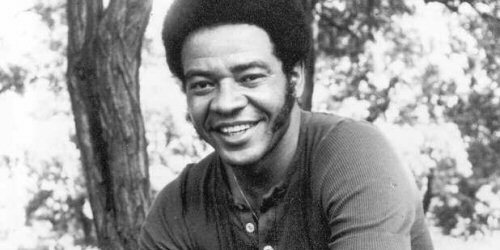 In his time, Bill Withers was a relatively prolific statesman of the radio dial, winning multiple Grammy awards for his unique and often genre-bending approach to composition and performance: a powerful combination of blues, R&B, and soul produced both alone and in partnership with a broad set of influences, from Stephen Stills to Hammond organ player and producer Booker T. Jones, both of whom supported his first major release in 1971 on Sussex Records. But though his star rose quickly throughout the seventies – thanks to funky beats, a sultry voice, and a knack for simple, perfectly soulful melodies and catchy walking melodic lines – Withers was frustrated by the workings of the industry, which kept throwing legal problems his way. By the end of that decade, Withers was already on semi-hiatus, focusing on collaborative projects with the likes of Saxophonist Grover Cleveland Jr. and Bobby Womack in order to avoid his commitment to his new label. In ’85, just fifteen years after he had cut his first album, he walked away from Columbia, nominally to spend more time with family – and though he did ultimately make a few live appearances in the subsequent years, unlike some artists, who keep a hand in as outsiders or secret session players, Withers never formally recorded in the studio again. Of course, the man lives on: in the Songwriters Hall of Fame, which inducted him in 2005; in samples and remixes, which keep fragments of his work alive in their original form; in the two songs he contributed to Jimmy Buffet’s 2004 album License To Chill; on the soundtracks to a hundred shows and films and commercials, which surely keep the man happy, wherever he may dwell. And in coverage, he truly shines, with a small handful of songs given life over and over, providing ample evidence of his genius – and plenty of fodder to shake until the best of the best rises to the top. Here’s a few post-millennial favorites from the vaults, many on the borderline of folk and something else – the backstage unplugged, Country swing, irish folk, and folkblues quadruple-take on Ain’t No Sunshine is an apt example – with each set a fitting tribute to a man whose undeniable influence crosses many lines, even as its origin is so condensed as to confound linear narrative. Heck, I’ve even thrown in a double-cover: an Irish acoustic gospel take on Grandma’s Hands mashed with No Diggity, the rap-soul song by BLACKstreet featuring a young Dr. Dre, which sampled Withers’ original tune for their own Grammy, way back before the turn of the century. Cover Lay Down posts new coverfolk features and songsets twice weekly without fail, thanks to your support. Coming soon: a host of great new folk artists have dropped their work in our laps, and we’re eager to introduce you to them through coverage!